The tune was the second single from the band’s fifth album, “Pinewood Smile” – their first with new drummer Rufus Taylor (son of Queen legend Roger Taylor) – which reached No. 8 on the UK charts. 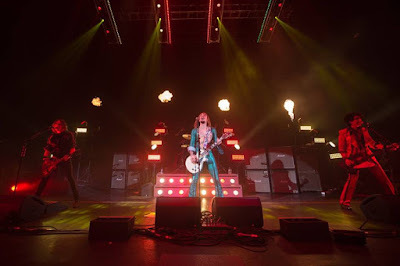 The new live set captures the group in a December 2017 concert at London’s Eventim Hammersmith Apollo. Having recently completed a North American tour, The Darkness will open a series of European and UK shows for The Hollywood Vampires this month.